You can also view our Pin Badges Fittings and Platings. 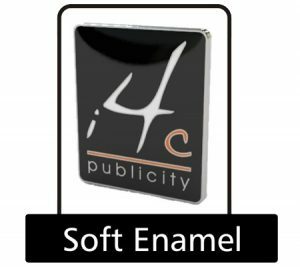 Soft Enamel – our most popular finish as it combines low cost with high quality. The process involves stamping the design onto the chosen metal which is then filled with coloured enamel, with the option of added Epoxy resin which beings the enamel to life, you get a smooth finish as well as a protective coating. 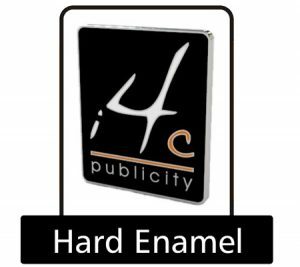 Hard Enamel – hard enamel forms part of our premium range. These are various stages to the process including firing the metal and the enamel, polishing and finishing. The result is a luxurious finish with the enamelling being flush with the surface. 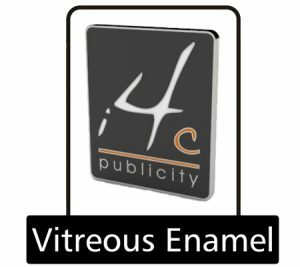 Vitreous Enamel – vitreous enamel finish is stamped onto the brass alloy metal and filled with a fine glass powder rather than enamel and then set and polished to a very high standard. Ideal for jewellery or that special item which requires that extra wow factor. 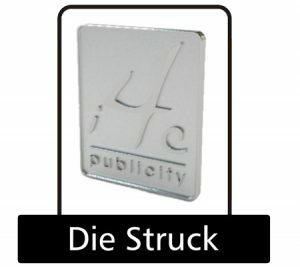 Die Struck – ideal for 3D designs which are created by pouring molten metal into pre-prepared moulds and finishing with various metallic effects such as plating, polishing, antiquing and sandblasting to add character and definition. Die struck items are often left unfilled, but enamel colours can be added. 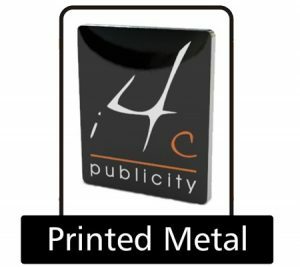 Printed Metal – printing is recommended for very intricate designs with fine detailing, tints, shades and gradients with are difficult to produce by enamel process. The design is offset printed onto the metal, followed by an Epoxy coating for durability and sheen.